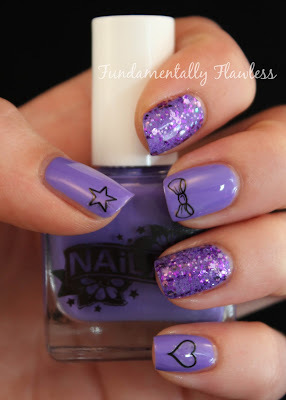 If you're a regular reader of Fundamentally Flawless, you'll know that usually always I do my own nail art - with dotting tools, nail art pens and striper brushes mainly - and as much as I love it, admittedly it's quite time consuming. With the summer holidays drawing to a close in a couple of weeks, I'm unlikely to be able to devote quite the same level of time and effort to my nails - which is why I'm delighted to have discovered Nail Art's Nail Tattoos. These are the cutest little nail stickers which you peel off the sheet and pop straight onto a painted nail before sealing it with a top coat. Couldn't be easier. (Though I do advise using tweezers if you have them as some are quite teeny and fiddly). They are available in two different packs at the moment but there are likely to be more in future. I can see that they'll be standard additions to my manicures from now on, particularly when I don't have time (or energy!) to be doing full on free-hand nail art. I'm so excited about trying out the little birds - aren't they gorgeous? 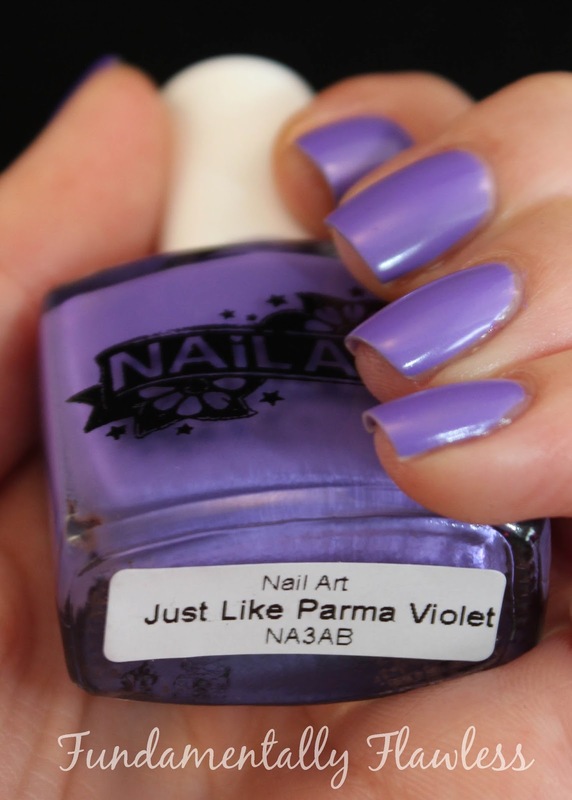 Nail Art also have a small range of polishes - I decided to use the nail stickers over a base of Just Like Parma Violet - it's a beautiful lavender-like creme polish which I was able to do just one coat of for total opacity, which is really impressive. It dries to a slight matte finish. I used just three tattoos on my nails - a heart, a star and a bow. On the glitter accent nails I used Nails Inc Royal Opera Arcade, from their Nail Jewellery collection. Nail Art Nail Tattoos are available for £5.99 (for 60 little stickers) from the Skin Art website www.skinartuk.com and Boots and Urban Outfitters stores. I think they're a fab buy for a quick way to enhance any mani. 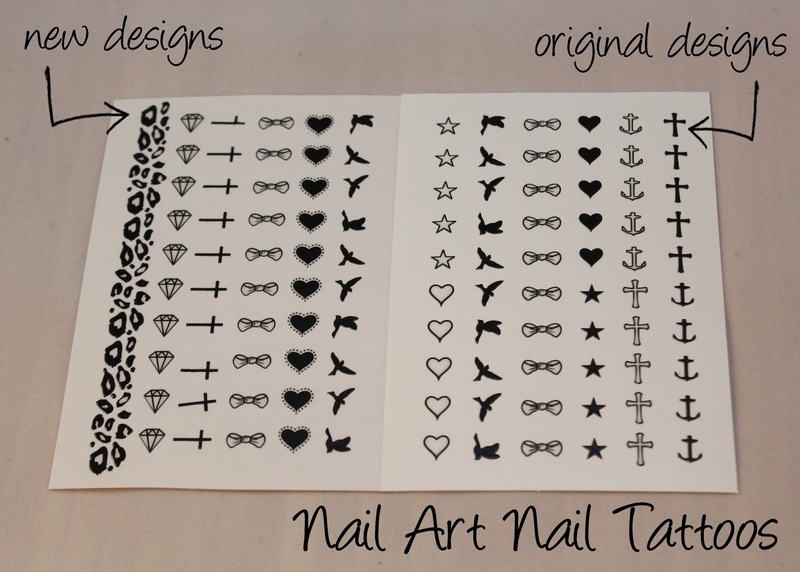 What do you think of these Nail Art Nail Tattoos? Will you be giving them a go? 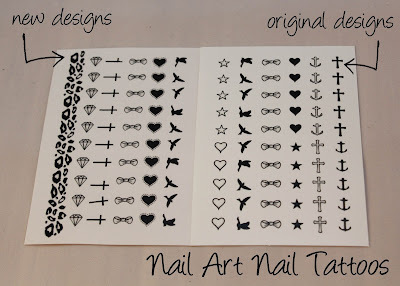 I have never tried nail art tattos. I've only used regular old temporary tattoos. Even though they are made for your skin... they work fine on your nails. 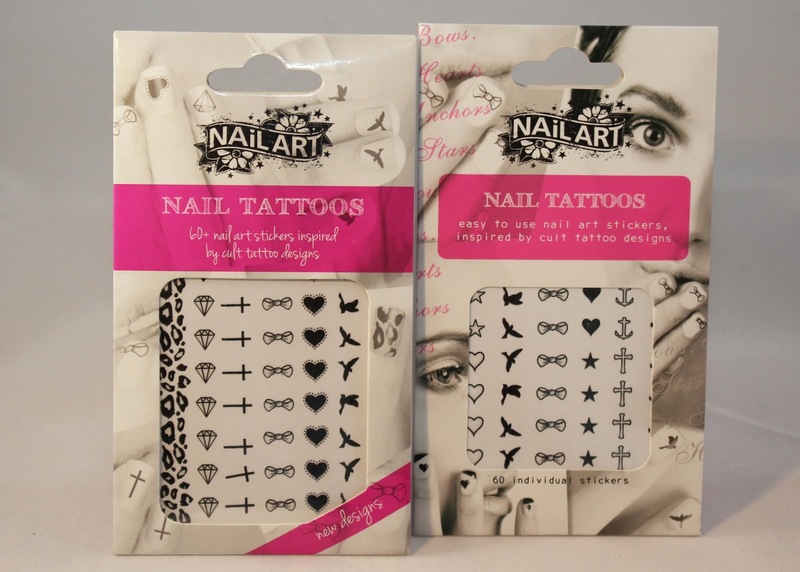 I haven't thought about using temporary tattoos before - sounds fun! And yep, aren't these cute? I'm already looking forward to using them again!